I’ve been rummaging through my sister’s nail polish collection the other day in hopes of discovering some new gems, and China Glaze’s Sugar High turned out to be exactly what I’d been looking for. Fun, bright shade perfect for the warmer months ahead of us. 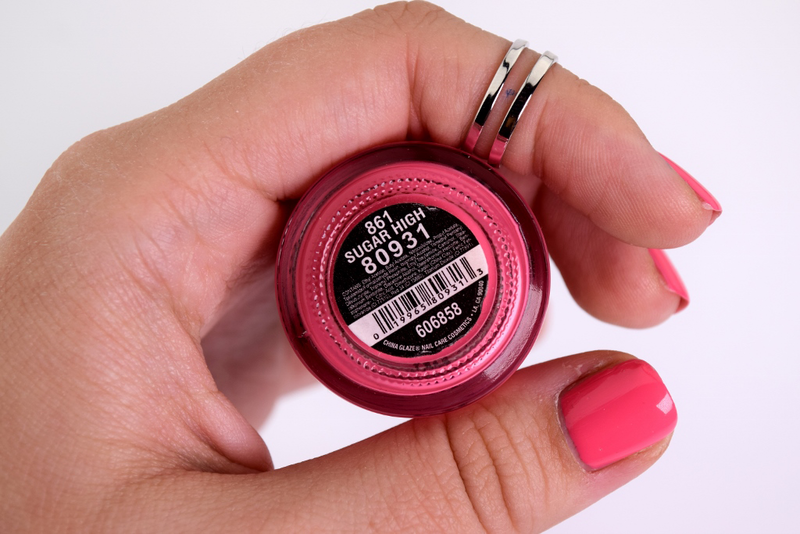 In the bottle, it looks a little bit lighter and softer, but when you put it one the nails, the shade turns into a hot pink goodness with a bit of a coral undertone. This nail polish must be one of the oldest in my sister’s collection, because there’s hardly any of it left, but it still performs perfectly. I applied two coats for an even opaque cream finish, and chipping doesn’t seem to be a problem either. Me likey. Do you have any similar shades in your collection?